About Armonk, NY – Happy to be your hometown Heating & Air Conditioning Contractor! Armonk, located in Westchester County, is about an hour northeast of New York City and is a hamlet in the town of North Castle. Armonk, with its population of approximately 3,500, exudes small-town charm with its grand local events such as the Armonk Outdoor Art Show. The Armonk Players, a community theater group, draws spectators from near and far. The North Castle Public Library hosts a branch in Armonk and also offers a good deal of entertainment, activities, and fun to the general public, and helps to even further strengthen the community bond. The Byram Hills Central School District provides the public education to Armonk and consistently scores amongst the highest in the state with their student testing. 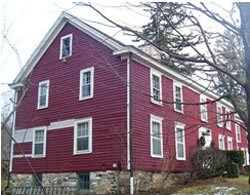 Armonk is rich in history as well. It is home to the North Castle Historic Society which once owned the historic site of Smith’s Tavern, a building from the late 1700’s with a very interesting and lengthy history that now operates as a public museum. Those looking for dining and shopping will enjoy the elegant cuisine provided by Moderne Barn, or the fun shopping in any one of the unique shops, such as can be found at Tasteful Treats & Treasure Gift Baskets. Many famous people have been associated with Armonk, including actor Peter Gallagher, multi-award winning composer and conductor Tom Kitt, and singer Laura Branigan. The weather in Armonk is seasonal with cold winters and warm summers. We are proud to be part of this community, serving your heating and air conditioning needs. All year long, in fact, you can count on 24/7 emergency repairs, upfront pricing for your approval, a commitment to your total satisfaction, and much more. When it comes to home heating, we provide maintenance and high quality repairs for all makes and models. We also offer multiple options for new and replacement heating systems to best suit your home comfort needs and budget. Please call us today at 914-276-0100 or 845-279-0100 to consult with one of our home Comfort Specialists.